This student submission again comes from my former student Lyndi Mays. Her topic, from Algebra: graphing inequalities. A1. Once students get to the point where they’re graphing inequalities, they should have a pretty good understanding of how to graph regular functions. I’ve noticed that where students have issues graphing inequalities is knowing which side of the graph should be shaded. Students get confused thinking that the graph should be shaded depending on the direction of the line instead of checking specific points. One activity that I would like to try in the classroom is giving them a worksheet where they graph inequalities on a small graph and when all the little graphs are graphed and shaded it creates a mosaic picture. I feel like there needs to be some sort of pattern or picture so that the students are sure that they’re doing the questions correctly. Another reason I like this activity is because it reaches the intelligence of artistic students. It’s not often that a math lesson can reach artistic intelligences. C1. One thing the students might find interesting about linear inequalities is that they appeared in the popular TV series, Numbers. In this particular episode, there is a blackout from attacks on an electrical substation. In order to figure out where the attack was located they mapped out where the blackouts were happening. Once they filled in all the different places that were blacking out, they realized it was one big section. Then they drew lines as if the map was on the coordinate plane. From there they are able to target the location where the attack happened. Students also might be interested in knowing that this is also the way that policeman use to locate a cell phone. They mark the three closest cell towers that the cell phone pinged off of and are then able to draw a section and use linear functions to find the cell phone. This video shows students how to solve for a variable and graph with inequalities. I liked the way it was set up because it was a word problem set up like a story and then solved. I know that students can become intimidated by having to learn new material and then having to apply it to a word problem. But this video kind of walks them through it which I believe could be helpful. Another thing was that the thing we were solving for was very realistic and might help students see why they would need to know how to graph linear equations in the future. The video also showed what x represented (cookies) and what y represented (lemonade). This lets the students know that x and y actually mean something instead of just being an arbitrary variable. I also liked that the video checked for specific points for the shading portion since many students forget that that’s a possibility and end up guessing where to shade. Sayfan, Sayfan. Graphing Linear Inequalities. https://us.sofatutor.com/mathematics/videos/graphing-linear-inequalities. This student submission again comes from my former student Michelle Contreras. Her topic, from Algebra: solving one- or two-step inequalities. A.2 How could you as a teacher create an activity or project that involves your topic? One way that I could create an activity for my students is by modifying a worksheet that I’ve seen around the internet and make it something enjoyable and engaging for students. The original worksheet is called “Who broke the Vase?” from teacherspayteachers.com and the students are supposed to solve the one and two step inequalities and match the answer with the letter of the question to figure out who broke the vase. The students are to cut the lettered puzzle and match them to the answer. I believe tweaking this worksheet and make it a group scavenger hunt activity will be a good idea because the students will be split into a group of 3 or 4 and each group will have particular letters assigned to solve. The scavenger hunt will be around the class so the students have an opportunity to work with other students but also to walk around and be active. I will have the lettered puzzle cut into pieces so each group can match their answerers to a letter and put it up in the overhead so everyone can see everyone else’s answers and progress. I believe this 20 minute activity will be best used after a lesson in one or two step inequalities giving the students an opportunity to work with their peers, to ask questions, and to address any misconceptions. This gives the teacher an opportunity to clarify ideas and to see how well students are understanding inequalities. B.1 How can this topic be used in your students’ future courses in mathematics or science? Having a good understanding on how to solve for one or two step inequalities is an important skill to acquire. There are many classes that use this concept of inequalities over and over again, so if the foundation of this topic is not set right other math topics and concepts may not make sense. Personally I have made use of my knowledge of inequalities in calculus 1, solving for inequalities trying to prove limits and the squeeze theorem. Last semester in real analysis class there was a theorem called the triangle inequality which just by the name you have an idea of what it’s about. The theorem compares the sum of two lengths of a triangle to the length of the third side. Talking with your students about different instances that you will come across a certain topic may help them want to learn and gain a better understanding. Comparing inequalities and equations is important and helps the students draw connections and remember better what to do since the properties of inequalities are very similar to equations. Stressing to your students that when you divide by a negative number on both sides that you should always flip the sign is essential. Students struggle to remember this properties since with equations you normally don’t do anything when you divide by a negative number. Having all the properties imbedded into your student’s memory will benefit them and prepare them for the future. E.1 How can technology (YouTube, Khan Academy [khanacademy.org], Vi Hart, Geometers Sketchpad, graphing calculators, etc.) be used to effectively engage students with this topic? You Tube in my opinion has great learning videos, which are a great tool for the classroom. Most often than not I refer to You Tube to get a deeper understanding about a topic, even more now that I’m in college. Searching for inequality videos that would be engaging was a pretty tough because I was looking for a precise video that was not only educational but I guess “fun” to watch. The video that I believe is a great tool for the students who are trying to remember all the rules for solving inequalities is called “Inequalities Rap”. This video makes reference to a show that I used to watch when I was little “Power Puff Girls” so automatically it grabbed my attention. The video which was made by a group of students for a math project contains the voices of the actual students rapping about the properties of inequalities and going over the steps to solve one or two step inequalities. The video is just short of 2 minutes and is very enjoyable to watch which I believe will grab the students attention since there is some rapping/singing involved. I could also ask my students to memorize all the lyrics to the rap song and rap it to the entire class if their up for it. Giving those particular students 5-6 free homework passes that could be used throughout the year. This student submission again comes from my former student Jillian Greene. Her topic, from Algebra: word problems involving inequalities. The students, in pairs, are stranded on a deserted island. There’s another island nearby that has various items that they need to survive, but that island is overrun by snakes and is virtually uninhabitable. The have one canoe to get to the island and back, but it was damaged and will only last for two roundtrip voyages to the other island. Luckily, the students possess a certain clairvoyance that tells them the weight that the canoe can hold, as well as the weight of each supply. The numbers will vary for each group, but the canoe will hold something like up to 37 lbs (after the weight of the person on the canoe) for the first trip, and 25 lbs for the second trip. There will be weight for individual fire-building supplies, food, water, an old radio, weapons, etc. and will then be left to the students to find the different combinations they can transfer. They then have to choose which items, how many of each item, and what combination they think would benefit them the most. To add a fun element, the teacher might even have a correct answer as to which materials will save them. This activity would be a fun way for student to take numbers given to them and organize them in a way that they’re excited about. If this is an algebra 1 class, this concept will be new to them. If this is algebra 2, then they should have seen this in geometry already. However, this is a fun way to look at how inequalities help us with very base level geometry. Assuming this is algebra 1, the students will discover the triangle inequality theorem and then be informed that is a big concept that they will discuss next year in geometry. They can do the activity where they’re given uncooked spaghetti noodles and break a piece into three pieces and see if it makes a triangle. They can measure the pieces and see when a triangle does work and when it doesn’t, describe their findings using words, and try to formulate the necessary inequality from that (the third side must be less than or equal to the sum of the other two sides.) If the students are learning this in Algebra II, then they can see how the description connects to the equation, and it will be interesting for them to build off of prior knowledge. How has this topic appeared in pop culture (movies, TV, current music, video games, etc.)? This activity is not as much deciphering the inequality from a word problem as it is understanding what inequalities mean in a graphical sense. However, it is indeed a situation involving inequalities, and a TV clip. I do not have the clip available to me right now (legally) but it’s in an episode of Numb3rs called “Blackout” where an attacker is causing blackouts throughout the city and then committing the crimes during the blackouts. The investigators found a code for where the attacks take place and they’re given two inequalities that they need to graph to find region in which it might take place. This will not only allow for a solid practice on how inequalities look on a graph, but for the (kind of) practical application of using things like this. The teacher can ask a few fun questions, like “why do you think the attacker is choosing this region?” or “how would it affect the graph if all of the area between Ramirez St and Gateway Plz was closed due to construction?” This will make the “less than” and “greater than” signs actually hold some amount of meaning. This student submission again comes from my former student Heidee Nicoll. Her topic, from Algebra: solving linear systems of inequalities. I found a fun activity on a high school math teacher’s blog that makes solving systems of linear inequalities rather exciting. The students are given a map of the U.S. with a grid and axes over the top, and their goal is to find where the treasure is hidden. At the bottom of the page there are six possible places the treasure has been buried, marked by points on the map. The students identify the six coordinate points, and then use the given system of inequalities to find the buried treasure. This teacher’s worksheet has six equations, and once the students have graphed all of them, the solution contains only one of the six possible burial points. I think this activity would be very engaging and interesting for the students. Using the map of the U.S. is a good idea, since it gives them a bit of geography as well, but you could also create a map of a fictional island or continent, and use that as well. To make it even more interesting, you could have each student create their own map and system of equations, and then trade with a partner to solve. If students have a firm understanding of inequalities as well as linear systems of equations, then they have all the pieces they need to understand linear systems of inequalities quite easily and effectively. They know how to write an inequality, how to graph it on the coordinate plane, and how to shade in the correct region. They also know the different processes whereby they can solve linear systems of equations, whether by graphing or by algebra. The main difference they would need to see is that when solving a linear system of equations, their solution is a point, whereas with a linear system of inequalities, it is a region with many, possibly infinitely many, points that fit the parameters of the system. It would be very easy to remind them of what they have learned before, possibly do a little review if need be, and then make the connection to systems of inequalities and show them that it is not something completely different, but is simply an extension of what they have learned before. How can technology be used effectively to engage students with this topic? Graphing calculators are sufficiently effective when working with linear systems of equations, but when working with inequalities, they are rather limited in what they can help students visualize. They can only do ≥, not just >, and have the same problem with <. It is also difficult to see the regions if you have multiple inequalities because the screen has no color. This link is an online graphing calculator that has several options for inequalities: https://www.desmos.com/calculator. You can choose any inequality, <, >, ≤, or ≥, type in several equations or inequalities, and the regions show up on the graph in different colors, making it easier to find the solution region. Another feature of the graphing calculator is that the equations or inequalities do not have to be in the form of y=. You can type in something like 3x+2y<7 or solve for y and then type it in. I would use this graphing calculator to help students visualize the systems of inequalities, and see the solution. When working with more than two inequalities, I would add just one region at a time to the graph, which you can do in this graphing calculator by clicking the equation on or off, so the students could keep track of what was going on. Textbooks have included the occasional awful problem ever since Pebbles Flintstone and Bamm-Bamm Rubble chiseled their homework on slate tablets while attending Bedrock Elementary. But even with the understanding that there have been children have been doing awful homework problems since the dawn of time (and long before the advent of the Common Core), this one is a doozy. There’s no sense having a debate about standards for elementary mathematics if textbook publishers can’t construct sentences that can be understood by students (or their parents). So, in a nutshell, the correct answers for these problems require skills that students have not yet learned at the time that they would attempt these problems. My answer: I have no idea. An argument could be made for either interpretation. And if a problem can be read two different ways by reasonable readers, then it should never be published in a textbook. However, part (c) asks for the maximum height of the triangle. But there isn’t a maximum possible height. If the height was actually equal to 9.5 inches, then the area would be equal to 55 square inches, which is too big! Also, if any height less than 9.5 is chosen (for the sake of argument, say 9.499), then there is another acceptable height that’s larger (say 9.4995). Technically, the problem should ask for the greatest upper bound (or supremum) of the height of the triangle, but that’s too much to expect of middle school or high school students learning algebra. This problem could have been salvaged if it had stated that the area is less than or equal to 55 square inches. However, in its present form, part (c) of this problem is unforgivably awful. This student submission again comes from my former student Emily Bruce. Her topic, from Algebra: word problems involving inequalities. Everyone learns in different ways. There are three common learning types, which are auditory, visual, and kinesthetic. The best activities and lesson plans involve all three of these learning styles. A great way to involve all of these learning styles is to use objects that students can rearrange and manipulate with their hands. When learning about inequality word problems, I would have print large numbers and symbols on pieces of paper that they could tape to a whiteboard. In groups, they would be able to rearrange their numbers and inequality symbols as they are working through a word problem, until the figure out the correct inequality. Then as a class, we could discuss their answers. This addresses the auditory, by discussing, the visual, by them seeing the inequalities as they read them, and the kinesthetic learners, by being able to manipulate it using their hands. What are the contributions of various cultures to this topic? The strict inequality symbols (less than and greater than) were originally seen in 1631, when used by British mathematician, Thomas Harriot. Some believe that his inspiration for these symbols came from a symbol that he saw on the arm of a Native American. The symbol he saw looked like the strict inequality symbols overlapping. The bars for the unstrict inequalities (less than or equal to and greater than or equal to) were not added until much later. It wasn’t until almost 40 years later, in 1670, that John Wallis started putting a line above the strict inequality symbols. Almost 65 years after that, in 1734, French mathematician, Pierre Bouguer, began writing a double line underneath the inequality symbols. Quizlet.com is a website that can be used as a good review for many topics. When exploring the section on inequality word problems, I found many useful and engaging things that would help students review and study the material. There were flash cards with word problems on one side and the corresponding equations on the flip side. There was also a test that they could take after studying the material, in order to examine their progress. Lastly, the website had two games that involve solving inequality word problems. This is a great way for students to study and review material. The website is not only great for inequality word problems, but topics of all kinds, in all subjects. This first student submission comes from my former student Jesse Faltys (who, by the way, was the instigator for me starting this blog in the first place). Her topic: how to engage students when teaching one-step and two-step inequalities. A. Applications – How could you as a teacher create an activity or project that involves your topic? Index Card Game: Make two sets of cards. The first should consist of different inequalities. The second should consist of the matching graph. Put your students in pairs and distribute both sets of cards. The students will then practice solving their inequalities and determine which graph illustrates which inequality. Inequality Friends: Distribute index cards with simple inequalities to a handful of your students (four or five different inequalities) and to the rest of the students pass of cards that only contain numbers. Have your students rotate around the room and determine if their numbers and inequalities are compatible or not. If they know that their number belongs with that inequality then the students should become “members” and form a group. Once all the students have formed their groups, they should present to the class how they solved their inequality and why all their numbers are “members” of that group. Both applications allow for a quick assessment by the teacher. Having the students initially work in pairs to explore the inequality and its matching graph allows for discover on their own. While ending the class with a group activity allows the teacher to make individual assessments on each student. B. Curriculum: How does this topic extend what your students should have learned in previous courses? In a previous course, students learned to solve one- and two-step linear equations. The process for solving one-step equality is similar to the process of solving a one-step inequality. Properties of Inequalities are used to isolate the variable on one side of the inequality. These properties are listed below. The students should have knowledge of these from the previous course; therefore not overwhelmed with new rules. There is one obvious difference when working with inequalities and multiply/dividing by a negative number there is a change in the inequality symbol. By pointing out to the student, that they are using what they already know with just one adjustment to the rules could help ease their mind on a new subject matter. C. Culture – How has this topic appeared in pop culture? Amusement Parks – If you have ever been to an amusement park, you are familiar with the height requirements on many of the rides. The provide chart below shows the rides at Disney that require 35 inches or taller to be able to ride. What rides will you ride? 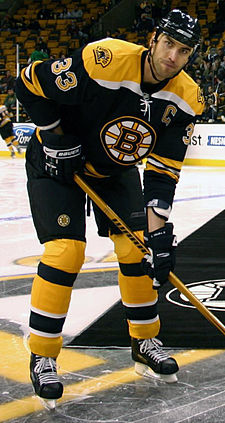 Sports – Zdeno Chara is the tallest person who has ever played in the NHL. He is 206 cm tall and is allowed to use a stick that is longer than the NHL’s maximum allowable length. The official rulebook of the NHL state limits for the equipment players can use. One of these rules states that no hockey stick can exceed160 cm. (Hockey stick 160 cm) The world’s largest hockey stick and puck are in Duncan, British Columbia. The stick is over 62 m in length and weighs almost 28,000 kg. Is your equipment legal? Weather – Every time the news is on our culture references inequalities by the range in the temperature throughout the day. For example, the most extreme change in temperature in Canada took place in January 1962 in Pincher Creek, Alberta. A warm, dry wind, known as a chinook, raised the temperature from -19 °C to 22 °C in one hour. Represent the temperature during this hour using a double inequality. (-19 < the temperature < 22) What Inequality is today from the weather in 1962?